Plenty Of Cars Can Stow More Than Your Average Crossover, So Why Keep Buying CUVs? Don’t fork over your cash on a GMC Terrain just yet. Trucks are hot sellers once again, with an appeal that we find a bit mysterious. Yes, they are really cool and capable, but how many people actually use all of these capabilities fully? We’d argue that not many do, and the same goes for the good folks who buy crossovers. Let's face it, a Toyota Venza can seat just as many people as a Camry and the extra storage space will only come in handy a handful of times. And over its lifetime, a crossover will guzzle more fuel than a smaller and lighter car. The size takes away from the driving experience too, but this doesn’t have to be the case. Recently, Motor Trend got fed up with the crossover takeover and decided that buyers should know a thing or two before heading to a dealership with fistfuls of cash. To help them, MT produced no less than 11 vehicles that have crossover storage capacity and none of the drawbacks. Unsurprisingly, many of them were wagons. The Volkswagen Golf SportWagen, Mercedes E-Class Wagon and BMW 3 Series Wagon hit this mark with ease. On the hatchback front, things got more diverse. The Ford C-Max, Kia Forte 5, Fiat 500L, Toyota Prius V, Subaru Impreza, and Honda Fit were the storage champions in this segment. 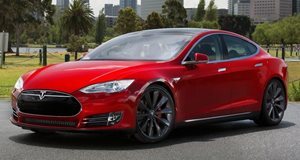 The two surprising appearances on the list were the Hyundai Sonata, which is just a car with heroic stowage capacity aided by folding seats, and the now more attainable and frunk-equipped Tesla Model S. This particular list was based on each car’s storing capacity alone, but we can’t say we’d recommend all of them. 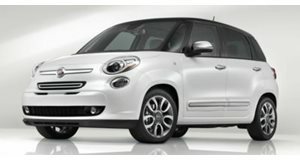 On our list, the Fiat 500L would be axed because, well, just look at it. 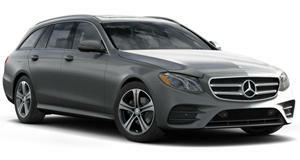 If we had to pick one equipment-hauling vehicle, it would probably be the newly refreshed Mercedes E-Class Wagon. Just please send us an E63 AMG version once it comes out.